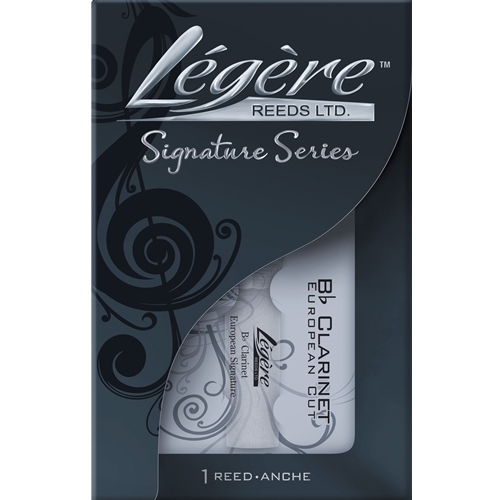 Legere European Signature Clarinet Reeds #3.5 The European Signature Series for Clarinet is our most flexible reed. The unique profile design allows for a bright, colourful yet warm and clean sound. It responds without hesitation and easily glides from the low registers to the high registers of the instrument. Its ease of playing is the reason this reed is used by almost all Légère Endorsing Clarinetists performing on the French system. This reed is preferred by advanced and professional clarinetists worldwide.